Stereotypes are bad, but sometimes one just cant help it. This is my case with video/computer game prejudices. In typical Argentine fashion, I have always been of the firm conviction that computers are for working and consoles for playing, anybody who plays games on a computer is to be judged a hopeless nerd and be mocked for eternity. And if you play on a console, only futbol games are acceptable, playing (god forbid talking about) other games the equivalent of social suicide. So basically only playing FIFA is acceptable, and even then talking about it while not actually playing it, or even worse posting something about it online, constitutes a mildly serious faux pas. Brutal honesty…Ive even taken the supernerd step of learning how to download music onto the Playstation so that I can play with the songs of our fans in the background. On the field, 1-1, which was unfortunate. After Racing took the lead in the first minute, we were expecting a historic day, but it was not to be. Off the field of course, the day lent itself to all sorts of, ummm, „colourful“ anecdotes. Racing fans arriving, with a couple of trophies as well…. Racing takes the field. Not bad, would have been much better though if the cops hadnt got wind of what was planned and „confiscated the materials“ shortly before the game. Unfortunate. The cops try to enter the terrace to remove some smoke bombs…and quickly realize that this is not a good idea. Notice their retreat from maybe 15 Racing fans! They also entertained themselves during the game by throwing huge pieces of cement from their terrace down to where the Racing fans were. This led to Racing fans trying to exit their section to storm the Independiente section. Of course, they didnt get far, as quickly another confrontation with the cops ensued. Racing fans and cops also had a confrontation before the game, during which the Cops made use of rubber bullets and horse charges. Los clasicos no se juegan, se ganan. Y a los Amargos… se les pega. So the derby is now a couple of weeks behind us, and its come time to share some of what it left us with. Racing lost, 0-1, but this is really not exactly something that could be called news. Racing has lost the last 4 games against Independiente, and has not defeated Independiente in an away game in the last 9 years (scoring in that time….1 goal!). But as I cant say enough, the game on the field is secondary, representing merely which club has the best mercenaries. The true spirit is the people and the fans, and there their is still no comparison possible. During the week, several Racing fans showed up at practice to let the players know of their „displeasure,“ and the visit ended with a verbal confrontation with some players during which one player apparently spit at a fan. During this time, the car of a player who it was rumored went out to a club on the night after the defeat was damaged. 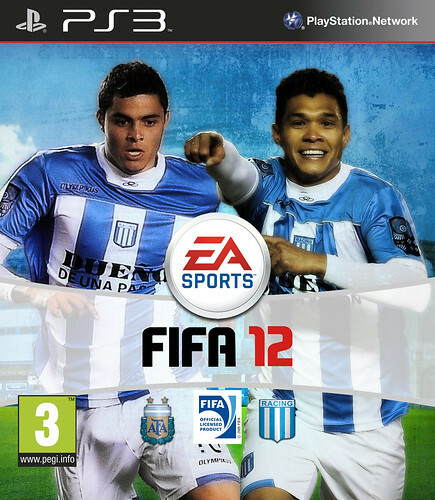 Today is finally derby day again, Racing vs Independiente. At 19:00 Germany time, and you can follow the game on Rojadirecta. Sadly, since Independientes new stadium is the size of a village party hall (but I guess thats appropriate considering how few fans they have), only 3.000 Racing fans will be attending, instead of over 10.000 as it was in the past. Well start with the most recent. 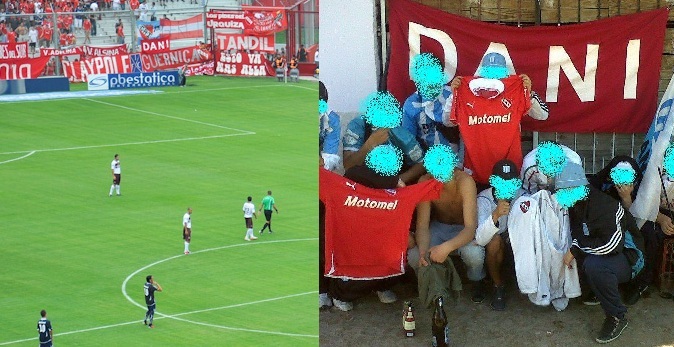 Yesterday, both Racing and Independiente fans organized „banderazos“ (shows of support for the players). Comment from an Independiente fan…“thank god we were 50.“ Sadly no videos to prove their further failure (although not surprising, who should make a video if nobody is there?!). Racing? Cortaron La Luz!!!! They turned off the lights! Indeed, the lights never came back on and the game had to be continued three days later….we still won. As can be seen hear. He challenges a fan to a fight, when the fan decides to take him up on the offer…he sends his bodyguards. Du browst gerade in den Fire and Flames Weblog-Archiven nach dem Tag 'clasico'.